This document provides the necessary information for starting-up the device and log in into the web interface. 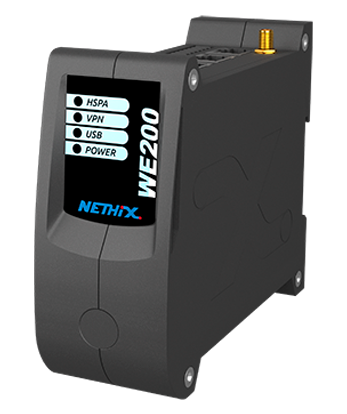 Further information regarding the web interface and the functionality of the WE200, can be obtained from the official WE200 documentation. 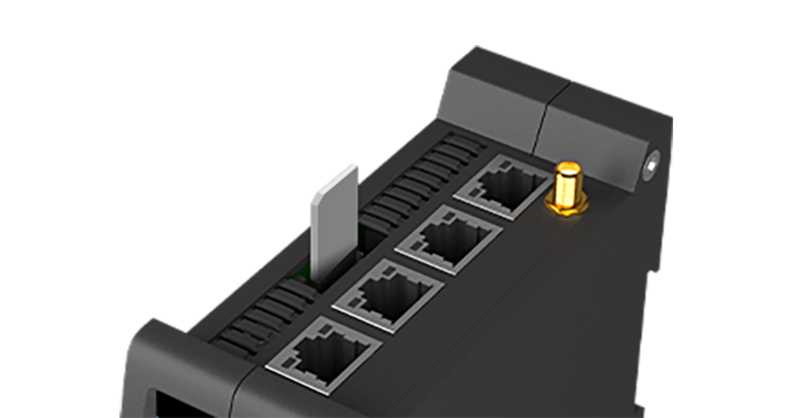 Connect the antenna and the RJ-45 Ethernet cable to the proper connectors. Be sure that the device is not powered before inserting the SIM card. Whith the device turned-off, insert the SIM card as shown in the image.  Connect the power source (12-24 VDC /1 A) to the terminal +Vin e GND. The Power LED will be turned on immediately and the MODEM LED will start blinking. After ~40 seconds, all the application and services will be active and the web interface will be reachable. After ~30 more seconds, if previously enabled, the HSPA/GPRS service will become active and the HSPA LED will turn on. 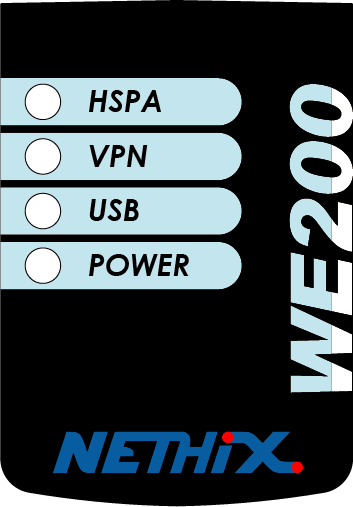 The services that depend on this connection will be active. It’s strongly recommended to change the default password after the first login.